Professor and Chairman Nobuo Adachi graduated from Hiroshima University in 1988, and joined the Department of Orthopaedic Surgery, Hiroshima University. He has studied sports-related knee surgeries and regenerative medicine under the direction of Prof Ochi who was the professor and chairman of the Department of Orthopaedic Surgery, Hiroshima University. He has been working on the cultured autologous chondrocyte implantation for many years. His research interests are cartilage regeneration using tissue-engineering technique, sports-related cartilage injury, or osteochondritis dissecans. He was a research fellow at the Department of Orthopaedic Surgery, University of Pittsburgh from 1999 to 2000. Now, he is Professor and Chairman of the Department of Orthopaedic Surgery, Hiroshima University since 2016 and has more than 200 peer-reviewed international publications. He got traveling fellowship between APOSSM (Asia Pacific Orthopaedic Society for Sports Medicine) and ESSKA (European Society Sports Traumatology, Knee Surgery and Arthroscopy) in 2004 and between JOA (Japanese Orthopaedic Association) and AOA (American Orthopaedic Association) in 2007. He was a member at large of ISAKOS (International Society of Arthroscopy, Knee Surgery, and Orthopaedic Sports Medicine). 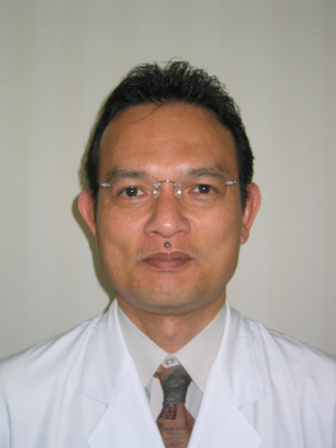 He is the president of JOSKAS (Japanese Orthopaedic Society of Knee, Arthroscopy and Sports Medicine).